But the rezoning deal only had modest neighborhood protections, mostly cosmetic in nature, according to the GVSHP. Architectural rendering of 124 E. 14th St. development which will house the tech hub. 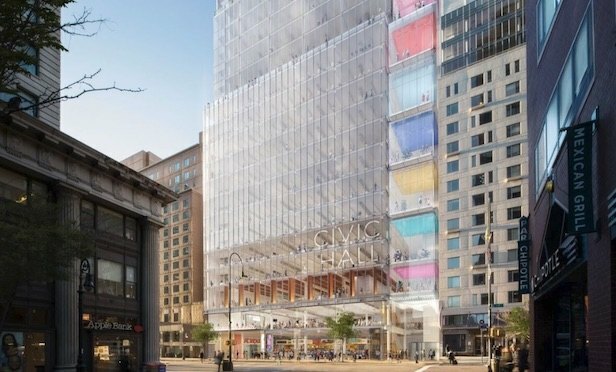 NEW YORK CITY—On Wednesday, the New York City council unanimously voted to approve rezoning which allows building the 21-story Union Square tech hub. Community members organized by the Greenwich Village Society for Historic Preservation supported the tech hub but only with zoning and landmark protections for the surrounding area.